The founder of Wikipedia, Jimmy Wales, has admitted that contributing content to the site is too difficult and that it is effecting the growth of the website and also the types of users who contribute. 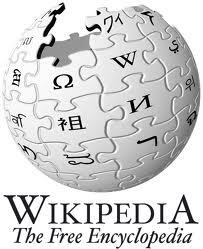 When formatting articles on Wikipedia, the user is faced with complicated code, known as a wiki mark-up. This is very intimidating for the standard user who will often exit at this point. This leaves only the Wiki ‘expert users’ contributing and alienates other users who may not be as technically savvy. “If you click edit and you see some Wiki syntax and some bizarre table structure – a lot of people are literally afraid. They’re good people and they don’t want to break something,” Jimmy Sales told the bbc. Wikipedia, the world’s fifth most popular site, want to grow their user base from 400m to 1.5bm by 2015, they also want to attract more female contributors. They recognise that they can’t grow unless they redesign their interface to be more easy to use. One of the ways in which they plan to do this is by introducing more WYSIWYG tools (what you see is what you get). It’s great to see Wikipedia recognising their usability issues and addressing them. Hopefully other companies will see this as an example of how good user interface design can actually increase your number of users and grow your business. It’s not all about marketing!